It is illegal and unethical to buy and sell counterfeit product, yet many well-known and respected distributors are doing just that and in so doing are also compromising the reputation of resellers with their customers. The sale of fake projector lamps is on a rapid increase and has infiltrated legitimate markets in every country of the world. Many resellers are unwittingly buying and selling fakes without realising it because their reputable supplier has been similarly duped by their supply chain. The lamp on the left is a genuine lamp made by NEC. 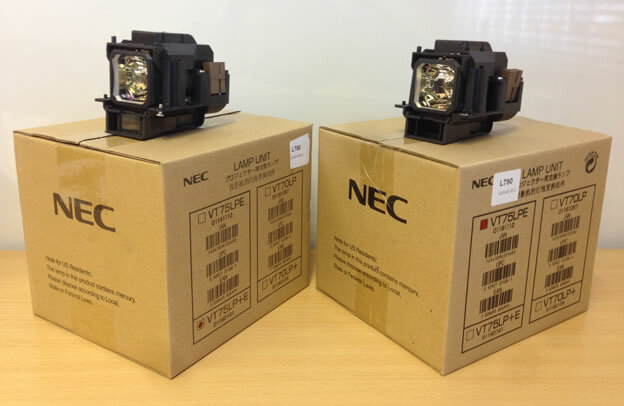 The lamp on the right is a lamp branded as NEC but wasn’t produced by them. It is a very convincing copy, similar to buying a fake Rolex watch or Gucci handbag, but whereas the latter are sold at a fraction of their true market prices, projector lamps are sold at the full price, because there are elements of the supply chain that has been duped. Are you buying counterfeit? Click here for how to spot a fake.